Manitowoc Cranes has released a new smartphone app for iOS and Android devices, to help crane operators and owners to quickly and easily determine the overall boom and jib length combination required for a lift. 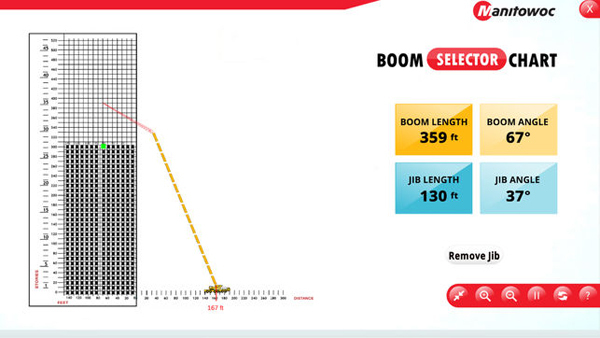 The ‘Manitowoc Boom Length Selector’ App allows users to select specific boom and jib length combinations, building heights, boom radii and other crane parameters using a sliding scale to determine the basic crane setup for a specific lift. The manufacturer said it is the first manufacturer in the crane industry to release a smartphone app of this kind.